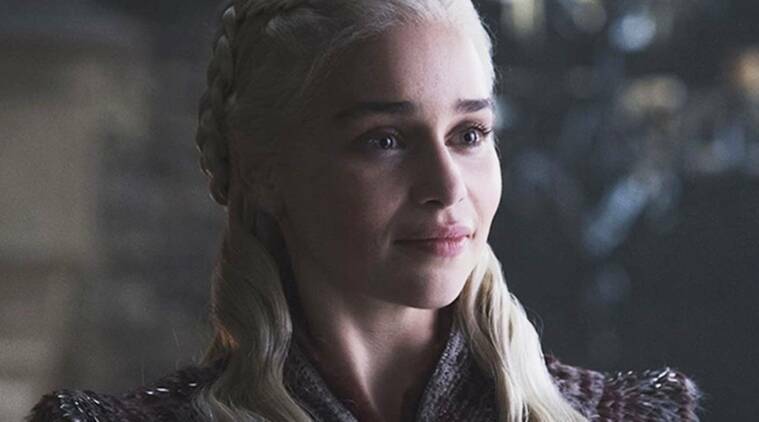 Game Of Thrones actress Emilia Clarke has revealed that she suffered two life-threatening brain aneurysms while filming the epic-fantasy drama. She has now launched charity for brain injury and stroke victims called SameYou. Actor Emilia Clarke has revealed that in the early years of Game of Thrones she suffered from two brain aneurysms that nearly took her life. In an essay for The New Yorker, published online on Thursday, Clarke said the health scares began soon after the success of the first season of the HBO epic-fantasy drama. Clarke said just before she assumed her role as Daenerys Targaryen in 2011, she started feeling a “shooting, stabbing, constricting pain” in her head during a workout with her trainer. “I immediately felt as though an elastic band were squeezing my brain. I tried to ignore the pain and push through it, but I just couldn’t. Somehow, almost crawling, I made it to the locker room. I reached the toilet, sank to my knees, and proceeded to be violently, voluminously ill. Meanwhile, the pain — shooting, stabbing, constricting pain — was getting worse. At some level, I knew what was happening: my brain was damaged.” The actor was rushed to the hospital where she had an MRI scan that showed an aneurysm requiring brain surgery. The then-24-year-old actor underwent a two-week recovery period, during which she could not remember her name, a result of a condition called aphasia. “I’d never experienced fear like that — a sense of doom closing in. I could see my life ahead, and it wasn’t worth living. I am an actor; I need to remember my lines. Now I couldn’t recall my name,” Clarke said. After recovering, Clarke returned to promote “GOT”, but soon discovered that she had another smaller aneurysm on the other side of her brain that could rupture any time. Around the third season of the series, the actor visited the medical facility for regular brain scans and learned that the second aneurysm had doubled in size. She had another surgery, but it did not go as successfully as the first one. “When they woke me, I was screaming in pain. The procedure had failed. I had a massive bleed and the doctors made it plain that my chances of surviving were precarious if they didn’t operate again. This time they needed to access my brain in the old-fashioned way — through my skull. And the operation had to happen immediately,” Clarke said. “I looked as though I had been through a war more gruesome than any that Daenerys experienced. I emerged from the operation with a drain coming out of my head. Bits of my skull had been replaced by titanium,” she added. The actor spent one month in the hospital, where she said she had “lost all hope”. “I felt like a shell of myself. So much so that I now have a hard time remembering those dark days in much detail. My mind has blocked them out. But I do remember being convinced that I wasn’t going to live,” she said. Several weeks after the surgery, Clarke was back to work promoting the series at the San Diego Comic-Con with her castmates. She kept the news of her surgeries a secret until now, even denying a National Enquirer story that ran six weeks after the procedure.